When heading off on your travels with the kids, you have a million and one things to remember; forgetting something might not be a total catastrophe, considering there are shops in most places these days, but the quality may not be the best, and your little darlings may not settle quite so well. One of the things on that list that you simply have to get right from the start is to make sure you have the best kid travel bed to take with you, not only for their comfort and to help them get a good night’s sleep, but also to make sure that your option is easy to transport. Of course, it’s not only about heading off on the open road or jetting off somewhere exotic when you might need to use a portable kid’s bed, as there are plenty of other opportunities when the need is called for; perhaps you want to go camping of a weekend, head to grandma’s house for a few days, or simply need something to use when friends stay over. Kid’s camping beds can be used for a plethora of uses, not just camping, and they are all comfortable enough to allow your child a well-rested night’s sleep. 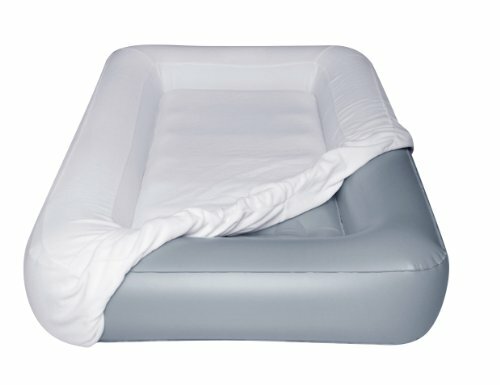 There are countless kid’s inflatable bed choices on the market, so it’s very important to whittle your options down. What is a kid travel bed? Basically a child travel bed is what is exactly what it sounds like – it is a bed which can be compactly folded up and transported from one place to another, allowing your child to sleep in comfortable and familiar surroundings on the go. 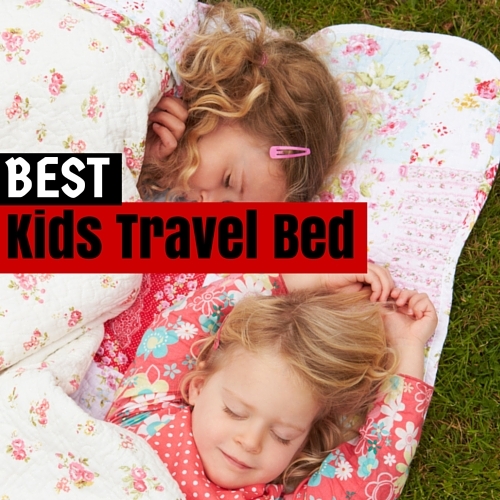 There are many different types of travel beds, such as folding beds for kids, travel cots for kids, and a kid’s air mattress, and it’s important to identify the best one for your particular child – everyone is different! Of course, one of the best out there in terms of flexibility and longer life use is a kid’s inflatable mattress. An air mattress for kids basically the most compact form of travel bed, because they deflate to a very small size, can be folded up into air cabin hand luggage, and then can be inflated once you arrive at your destination. Many of these beds are also fast to inflate, so you don’t have to stand there for hours on end pumping air into it! You can also consider this type of bed an investment, because they last for much longer in terms of how old your child is – many fold out beds aren’t much use once your child is past toddler age, and we know that travel cribs or cots are also only useable for a short life span – you don’t have this problem with an inflatable mattress type of bed. Here is a quick comparison of the best kids’ portable beds with information like the weight, the dimensions when assembled/inflated and the price. Below you will find our best kids travel beds buying guide and kids travel bed reviews of each of the top choices. Please note: All bar one of the following choices are inflatable beds for kids. When purchasing your ideal portable bed for kids, it’s important to know which criteria to look at, in order to help you in your decision. These ideas below should help you understand which areas to look at in more detail. 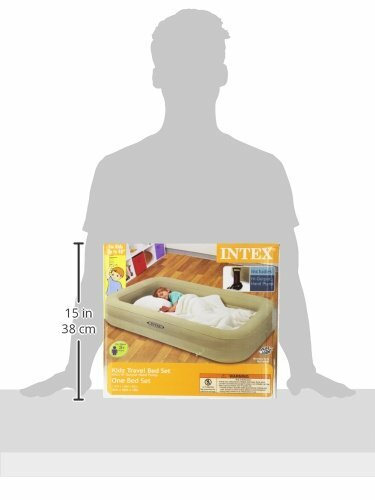 Whichever inflatable kid’s bed you go for, you need to find one which fits the size of your child, with room for growth. You don’t want a kid’s blow up bed which is too short, because that is not going to be comfortable, safe, or going to last you any length of time. However on the other hand make sure the option you go for isn’t too bulky either, because the whole idea is that the bed is portable, and bulky beds aren’t easy to move around. Kid’s air beds are going to need inflating and deflating before and after use so you need to look at options which aren’t too difficult to set up and put back down again. 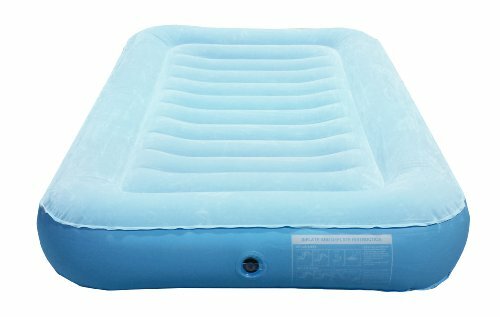 Most modern kid air mattress options these days are quite easy to inflate and deflate, and because they’re not huge, they don’t take too long anyway. Check this out however, as you don’t want to arrive at your destination only to realise that you’re going to spend the first hour setting up your child’s bed! Aside from how portable and easy to set up the bed is, you need to know how comfortable it is. It’s no good buying a top of the range kid air mattress that promises easy portability and fast set up time, if it’s not comfortable for your child. Check out reviews before you opt to buy, and also make sure you’re buying the best kind of travel bed for your little one; if they are particularly young and active, perhaps a kid’s portable cot is a better option for containment and safety, rather than a portable kid bed. Below are our reviews of our picks for the best portable beds for kids. 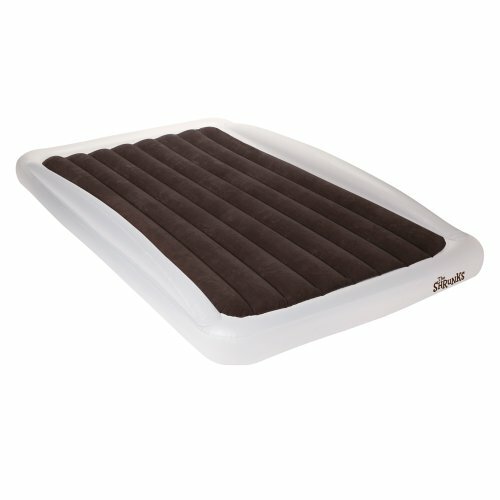 When looking for air beds for kids, you have plenty of choice, but this particular option is top quality and a very popular bed to go for. Very easy to inflate, taking just three minutes, with the same duration to deflate it, the bed comes with an external AC electric pump which is easy to use, as well as a travel bag for transportation ease. Like most inflatable kid bed choices out there these days, there is also a repair kit included, just in case. The soft outer cover can be removed and washed, just in case of spills or accidents, and the bed is very comfortable overall, meaning you can take this one either on longer journeys, or for those camping trips we all know and love so much. Read more about the LazyNap LZ-04K Kids Air Mattress with Wrap-Around Bumpers and see the latest prices here. Another in our choice of kid’s blow up beds, this is another very easy to use route to go down, which inflates and deflates within three minutes, thanks to the easy to use AC electric hand pump. Yet again, the bed comes with a travel bag, and it is a very lightweight choice, making it easy to store away in airplane cabin luggage for example. This particular kid’s blow up mattress is also a good one for camping trips, because it is durable and long-lasting, suitable for use from three years upwards. Read more about the LazyNap LZ-01K Kids Air Bed with Flock Top and see the latest prices here. When looking specifically for blow up beds for kids, the Intex Kidz Travel Bed is a good one to go for. The manual air pump inflates and deflates the bed quickly, and it also uses standard crib sheets, so there’s no need to invest in new bedding especially. A good perk is that you can take the airbed from the frame, so you can create a separate surface for sleeping, or simply put them together – the choice is yours. This is one of the best portable kids beds out there, because it is sturdy and stable, yet lightweight at the same time. Read more about the Intex Kidz Travel Bed and see the latest prices here. When looking for kid’s inflatable beds which inflate and deflate super quickly, this particular choice is for you! The super powerful, yet compact, pump ensures the bed inflates and deflates within one minute, and it is suitable for children aged between 5-8 years. This is a good option as a kid’s camping bed too, because it is durable and sturdy, with a free repair kit on hand in case of issues. The security rail which runs around the bed also gives you peace of mind that your little one isn’t going to fall out whilst they’re asleep. Read more about The Shrunks Sleepover Kid’s Travel Bed and see the latest prices here. This particular option is a fantastic travel bed for kids because it is long-lasting and tough, without being too bulky or hard to transport. Of course, you need to weight up the pros and cons of whether it is a kid’s travel bed you need, or one of the many portable cribs for travel, however if you’re after the former, this is a good option. The bed inflates in about a minute, thanks to the powerful AC pump, and the outer mattress cover feels soft and luxurious. The actual bed itself is made of strong PVC, with welded seams, to make sure the bed lasts you for the duration you need it to last for. Read more about the Smart Air Beds Inflata Snuggle Air Bed for Kids and see the latest prices here. Do you travel with a kids travel cot?